Make your own stylish fashion jewellery using a range of beads, wire and chain and guided by fashion jewellery expert Hayley Kruger. Hayley will guide you through all the basics of making your own fashion jewellery including attaching beads to chain, using different metal components and laying out your designs before creating a matching necklace, bracelet and earrings set. Once you have mastered the fundamental techniques you will look at top tips for getting inspirations for your designs and can apply all these elements to create your own sets of bespoke, trend-focused jewellery. 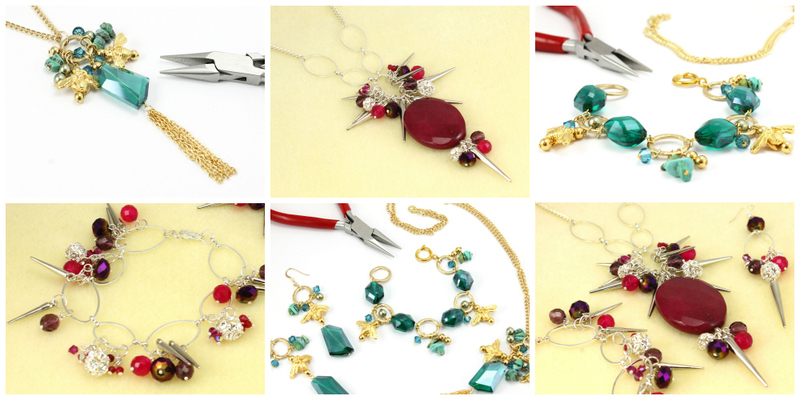 This is a great follow on class from the 'Jewelry Making for Absolute Beginners' by Jessica Rose and is suitable for complete beginners. Hayley Kruger is a South African raised, London based designer with her own fashion jewellery label - Hayley Kruger Adornment. After completing a degree in Silversmithing, Jewellery & Allied Crafts, Hayley went on to design costume jewellery for many of the UK's High Street's most recognizable names such as Marks & Spencer, River Island, Morgan, Next and Lola Rose. She is skilled in a vast range of jewellery making skills from traditional benchwork through to using leather, suede and mixed media. The inspiration behind her work stems from the vibrancy of the regions she has lived in and the strong personalities who have influenced her life. She has received much acclaim with her work being exhibited at the Victoria & Albert Museum in London and worn by a number of high-profile celebs. Having always loved making things, whether they be craft, accessories or jewellery, alongside running her business, she regularly teaches at the London Jewellery School to help pass on some of her knowledge and passion for jewellery to others.